Rothko once said, “My art is not ‘art’ — a limited category — but communication on an exalted level of experience.” He would scrutinize his own work and at times give off the impression that the work was unknowable. He wanted to move people to tears. Like other artists of his generation, early in his career, he explored surrealism and studied the myths and symbology of the Greek tragedy. But between 1947 and 1950 all figurative associations disappeared from his paintings. Developing his own language, his large scale works were meant to not only engage the viewer, but envelope the viewer. He wanted you to enter the picture. And you did. He did not want to be labeled a Color School painter and insisted that his art represented human experience and embodied the drama of humanity — all of it — the tragedy and the ecstasy. Blending, layering, creating large scale color-saturated luminous canvases, Rothko speaks to our physical senses but states emphatically that if we are only moved by the color relationships then we are missing the point. But it is the vibrant color, sometimes bold, sometimes calm, that is intentionally placed to pulsate optically and sustain the viewer’s attention through physical sensations and constantly changing visual perceptions. “I create large pictures” Rothko explained, “because I want to create a state of intimacy.” Being in the presence of his work, we cannot help but be moved by the mysterious and mesmerizing power of his spiritual truths. And then there is the inner light that we can see once we allow our eyes to adjust. 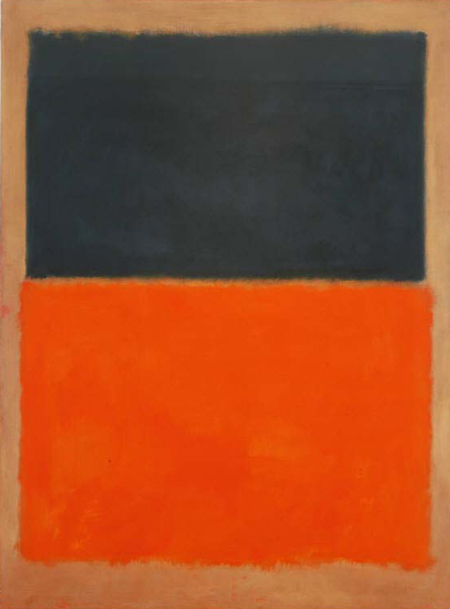 As Rothko asks us to do, if we look closely, we will experience the interior space of the picture. And perhaps experience our own interior space.